Today I made some chocolate caramel crackers which I haven’t made in an age!! It’s my gorgeous cousin’s recipe and tastes like dime bar biscuits!! And here is my slight variation I used milk chocolate instead of dark and about 10 oz not the recommended 8oz! Line a deep baking tray with foil (have the foil up the sides a bit) then line the foil with non stick baking parchment. This helps getting the finished product out of the tin and saves much scrubbing!! Cover the base of the tin in a single layer of crackers. Melt the butter in a heavy based pan then add the sugar and stir until melted together. Boil for 3-4 minutes, keep stirring!! Remove from heat, quickly add the vanilla essence and stir through, then spread over the crackers evenly. Put it into the oven for 10-15 mins checking in case of burning towards the end. 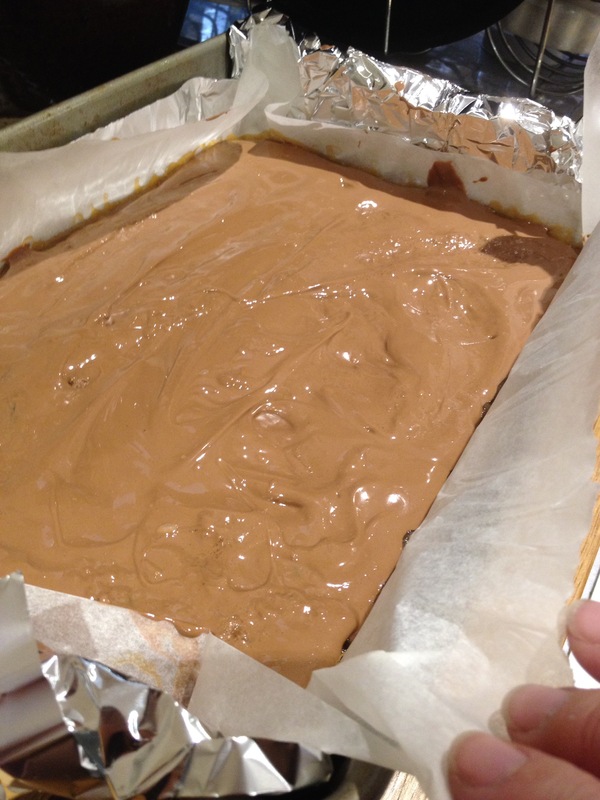 Remove from the oven and wait for the mixture to stop bubbling and pour/spread over the chocolate. Allow to cool then refrigerate to completely cool and solidify. It will keep for up to a week in a airtight tin….. If it gets chance!! ← Soooo I’ve started a monthly sketch journal….